Denis Masi was born in 1942 in West Virginia, USA. He attended the Brera Academy of Fine Art in Milan, the Slade School of Fine Art and the Chelsea School of Art. 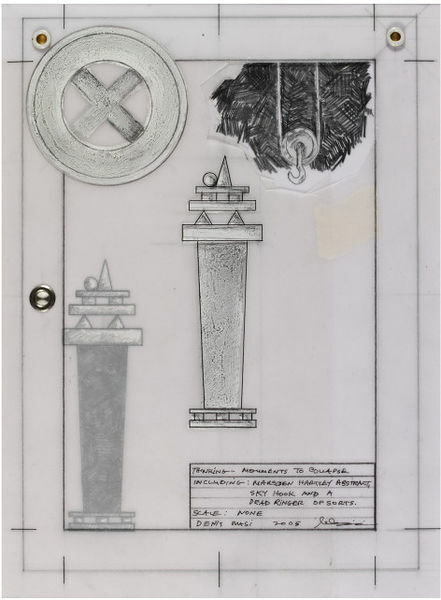 In 1984 Masi was the first artist in residence at the Imperial War Museum. He has taught at the Slade since 1996. 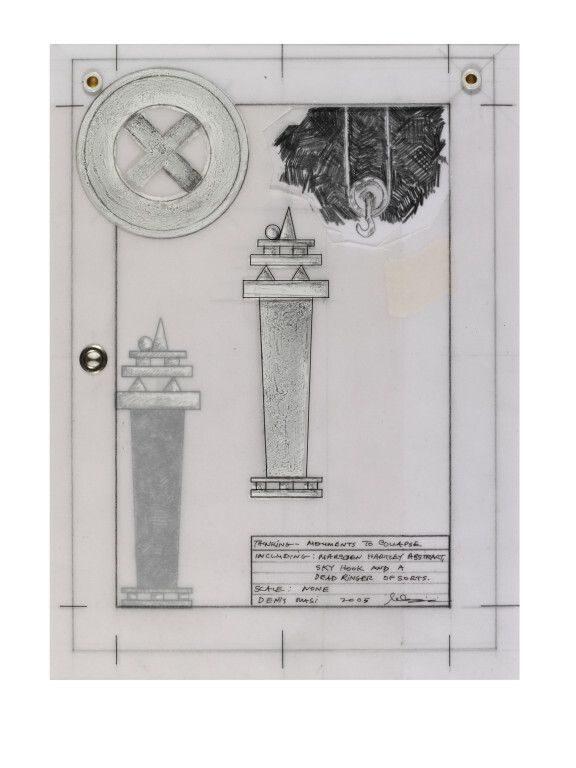 He works in a wide range of media, including large-scale sculptural installations, drawings, etchings, metal relief, photographs, and, as in this example, collage. 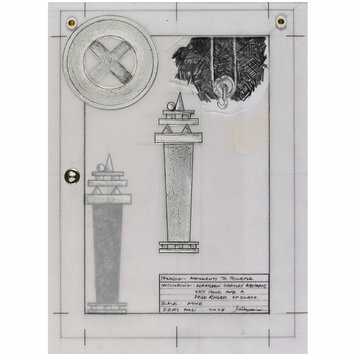 Design on tracing paper overlaid with acetate incorporating two towers, a circle surrounding a cross and a hook. Inscription in lower right-hand corner.